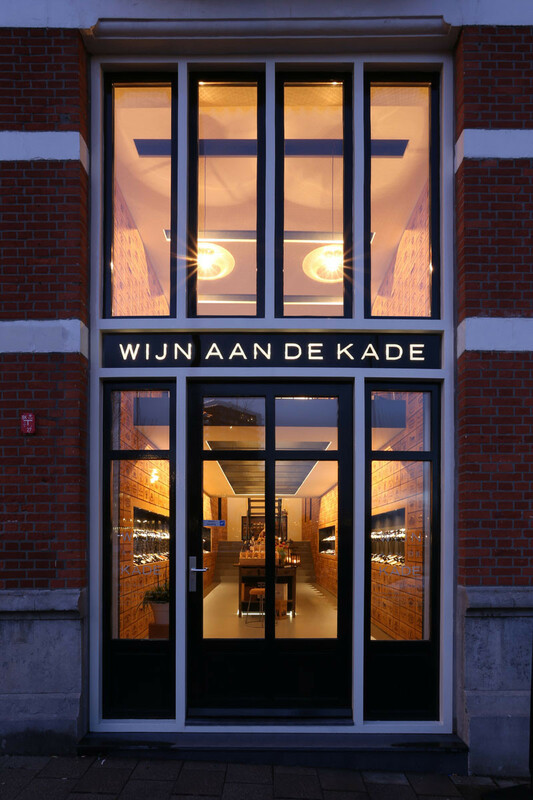 Rik de Ruiter and Luuk Stoltenborg of Dutch architecture studio AAAN, have designed the recently opened wine store Wijn aan de Kade, located in the centre of Rotterdam in The Netherlands. 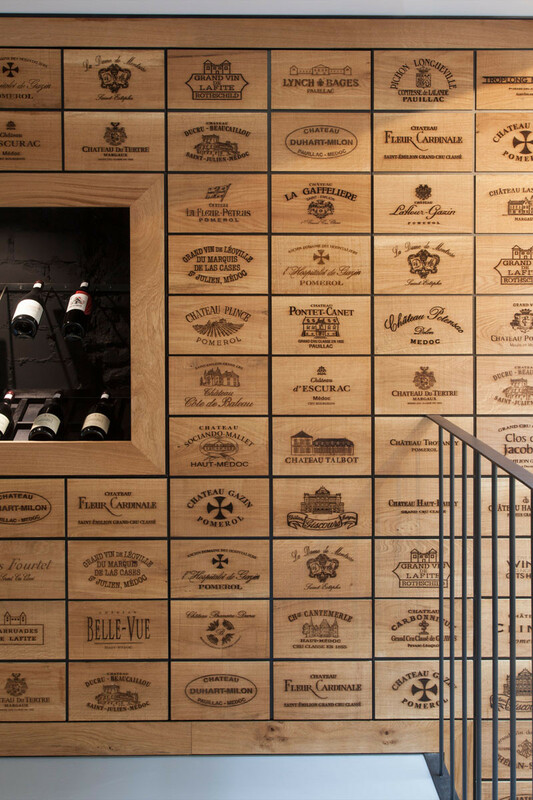 The wine store can be found within a building that dates back to 1896. 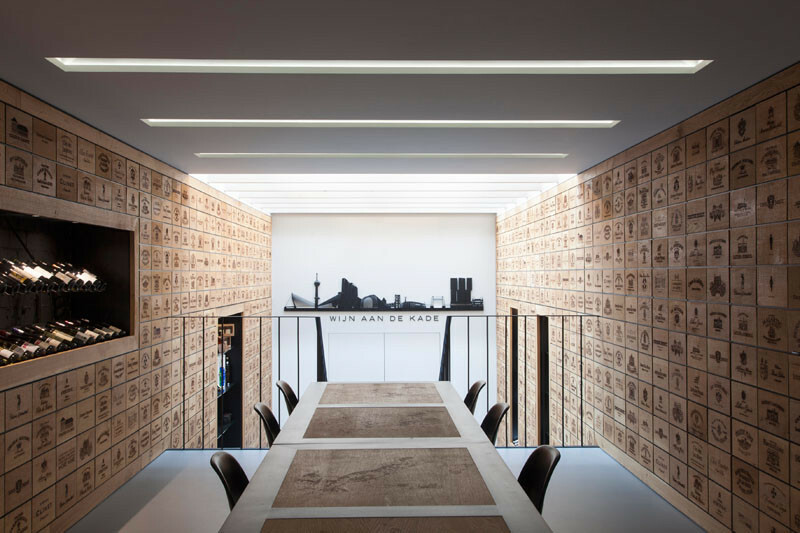 The shop has been transformed into a long, warmly contemporary finished space that is covered with 2100 oak panels, which are engraved with labels of famous wine brands. 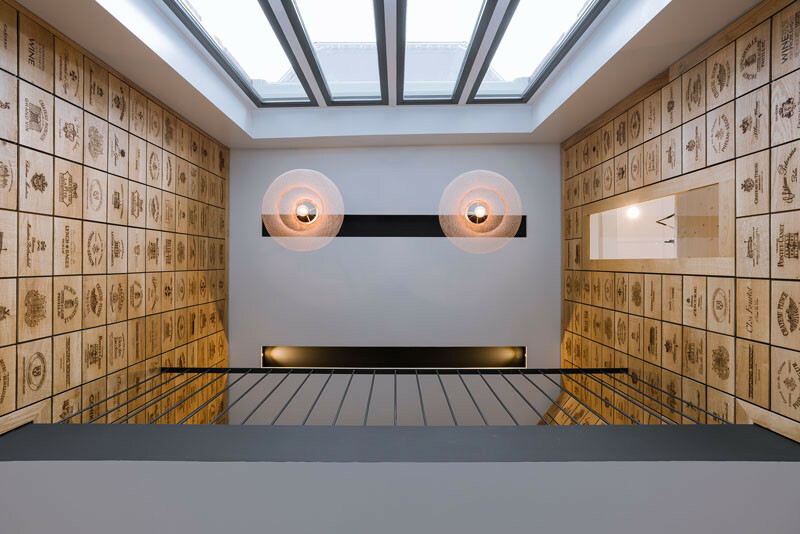 The space is flanked by cabinet walls that the oak panels do a good job at hiding. 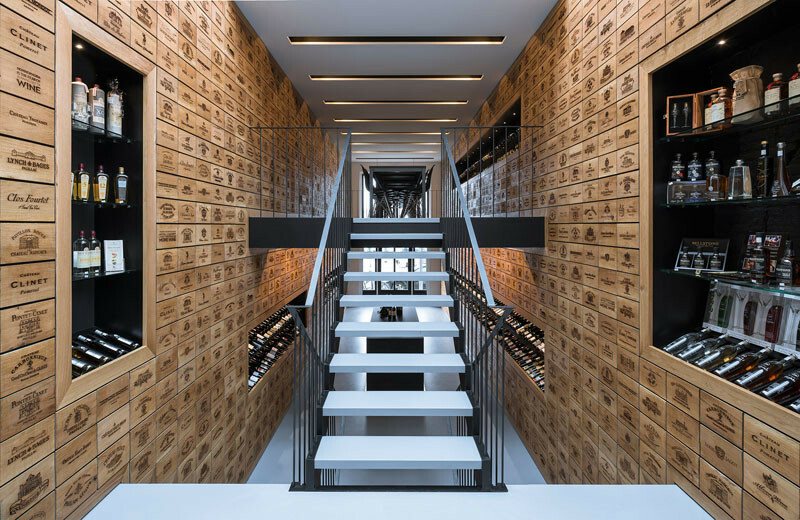 Wine boxes are stored inside the cabinets, and cutout sections function as displays for over 300 different bottles of wine. 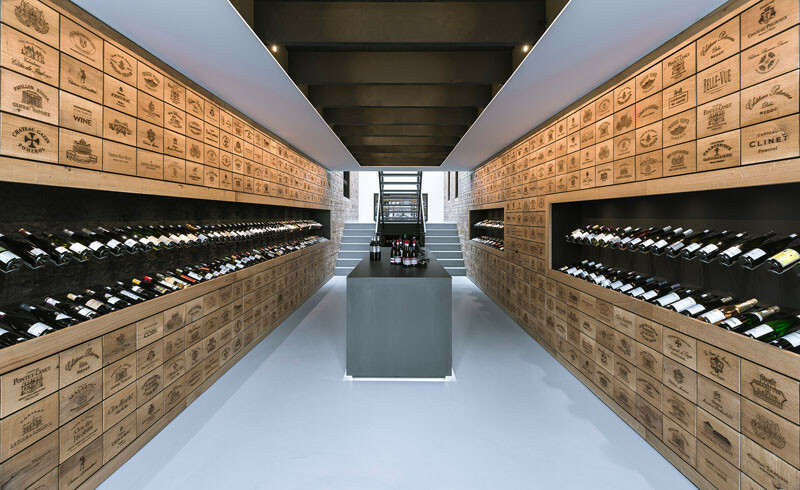 Located on the upper level of the store, is a wine tasting area. 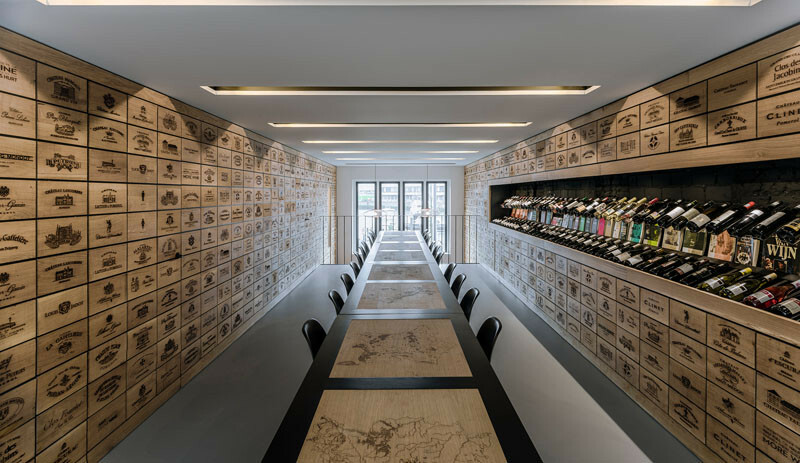 The main tasting area, designed for larger groups, contains educative tables with maps of wine regions engraved in the tabletops. 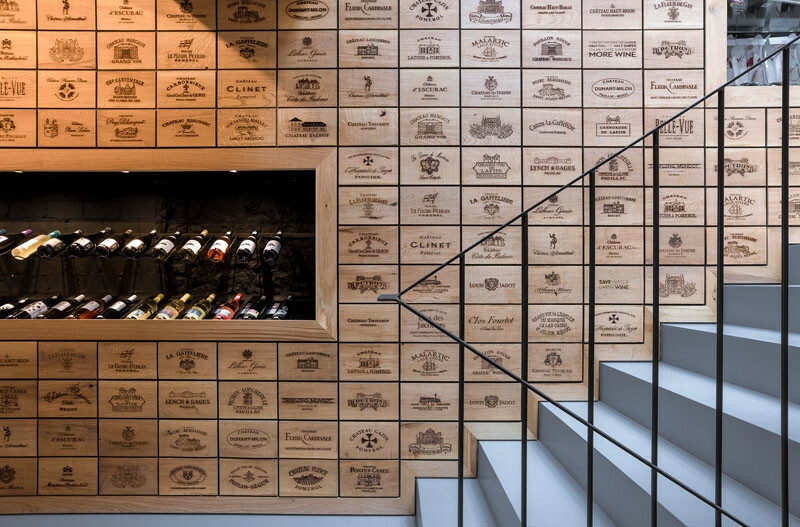 The engraved oak wall panels reach all the way to the ceiling. 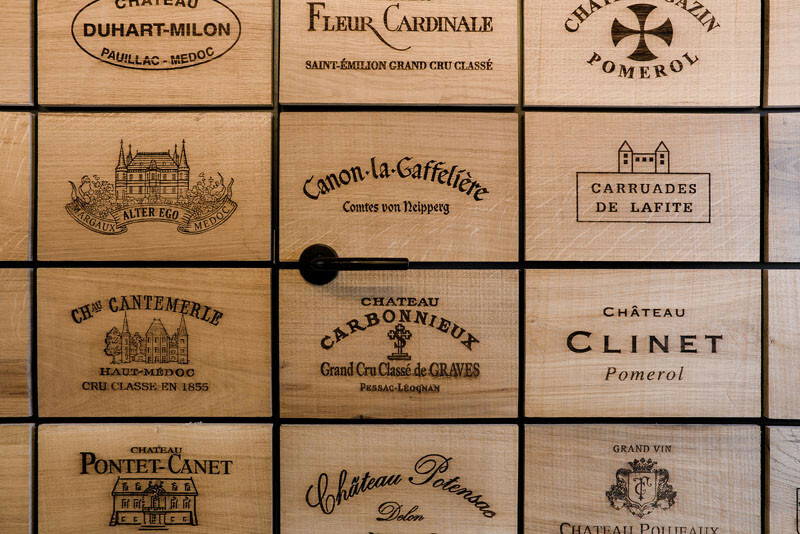 Here’s a close-up look at some of the panels. 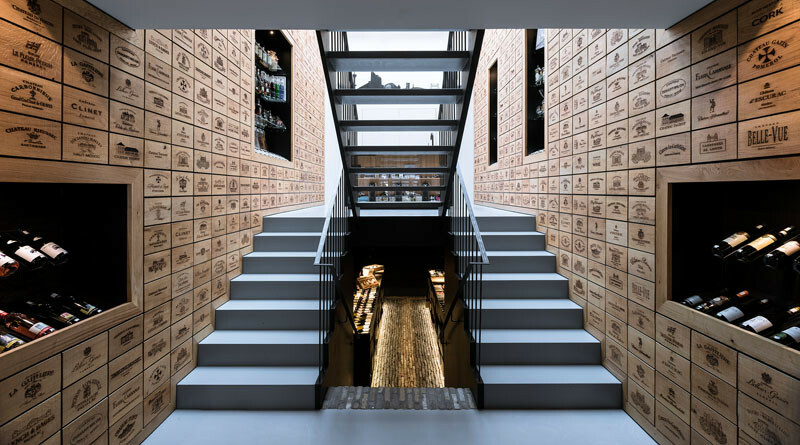 In this photo, you can see a handle for a hidden cabinet.